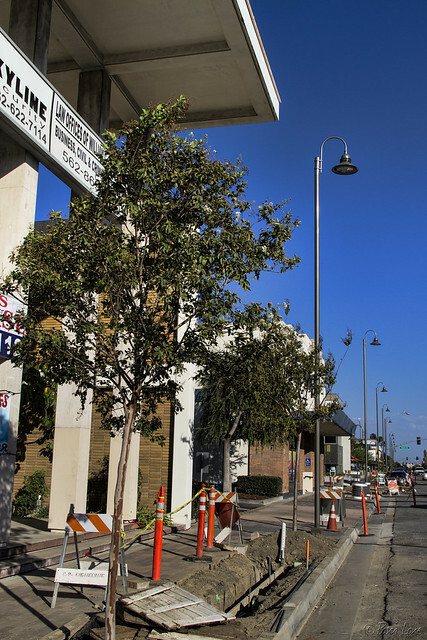 The Firestone Boulevard improvement project seems to be taking another step forward. Recently, the ornamental street and pedestrian lighting installation was completed, and numerous trees have been planted along the sidewalks in this section of Firestone, near the palms that were planted in July. 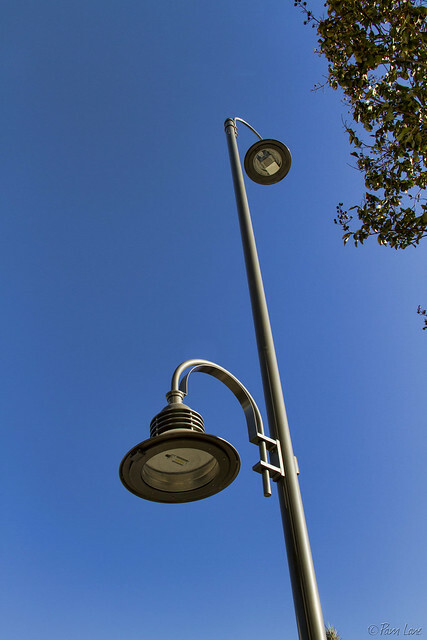 The lighting has kind of a combined retro and modern look, and provides light to both the street and the sidewalks. Sometimes it looks like the project still has a long way to go, although it is scheduled to be completed next month. But it's encouraging to see this latest step forward.